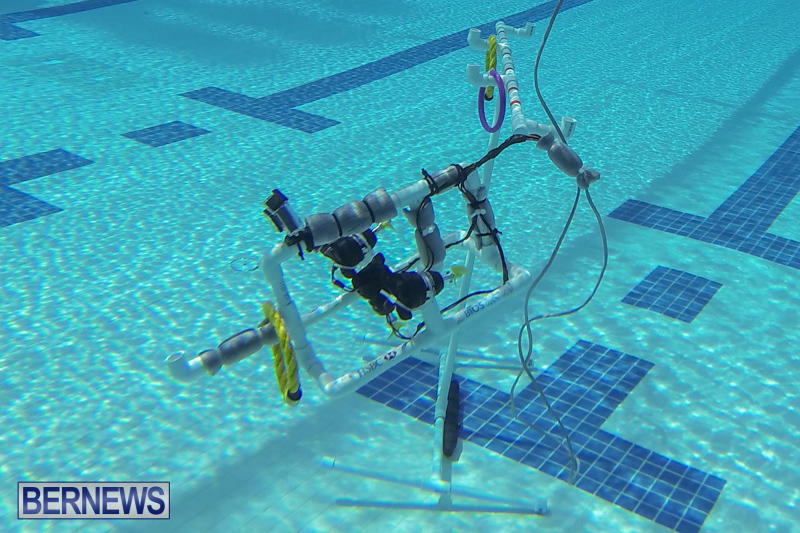 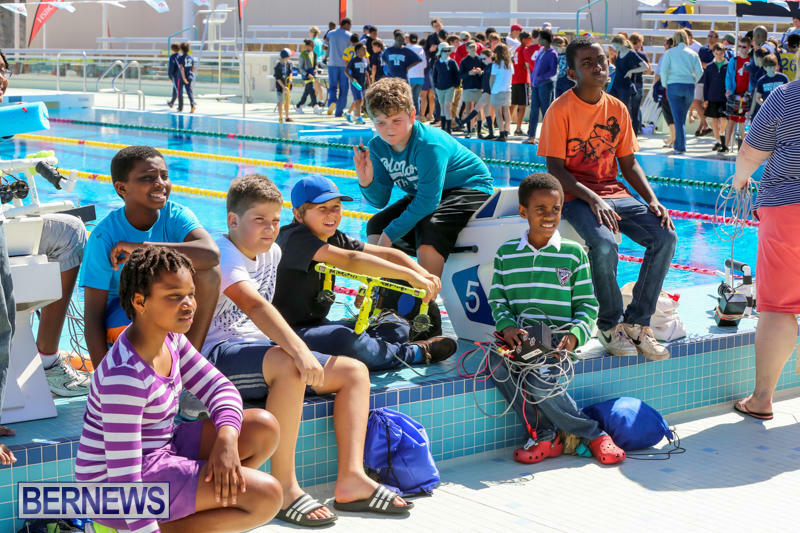 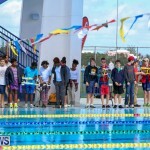 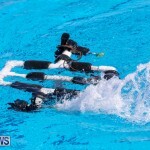 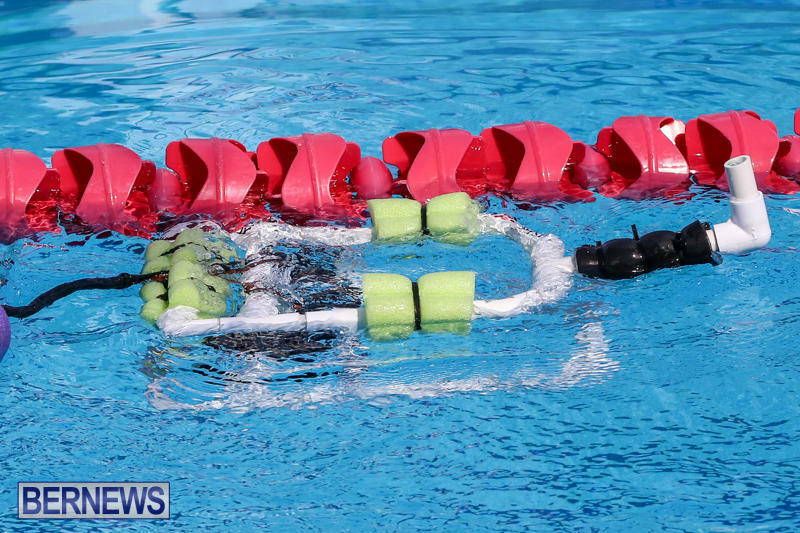 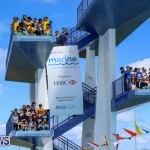 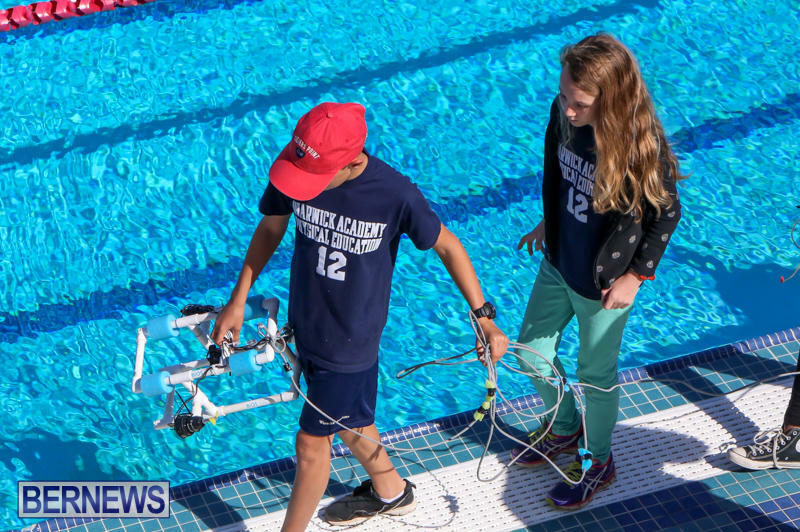 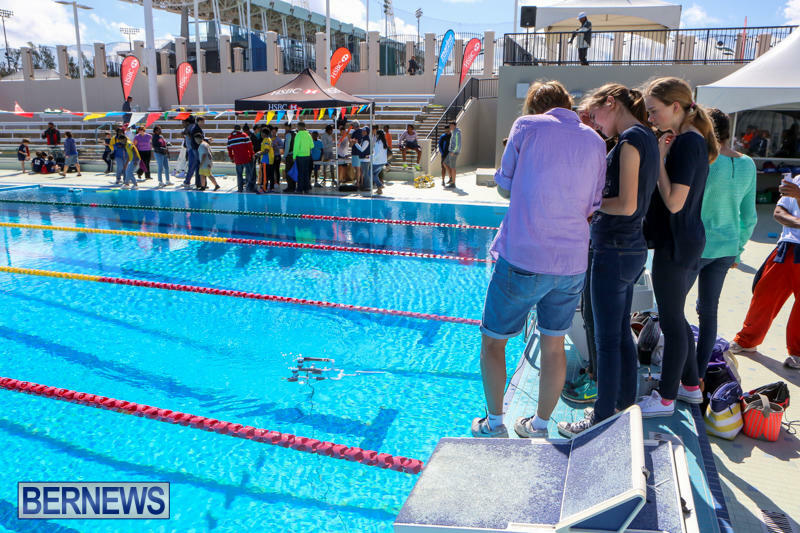 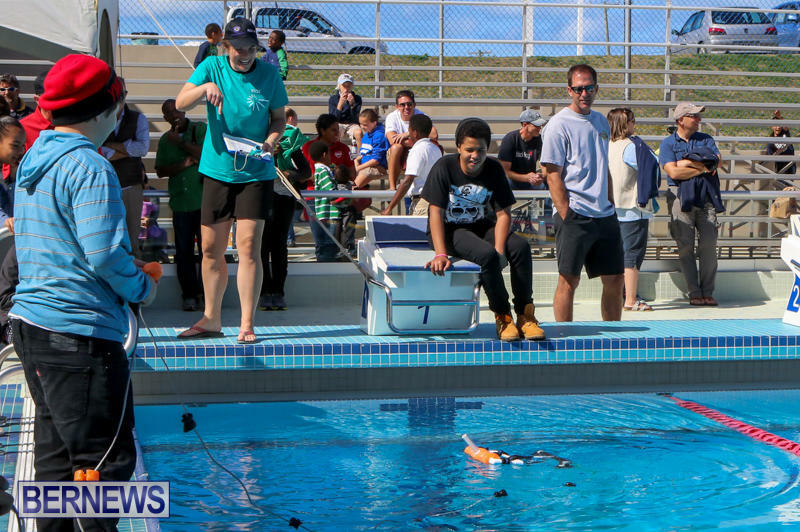 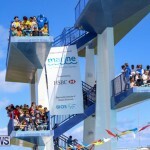 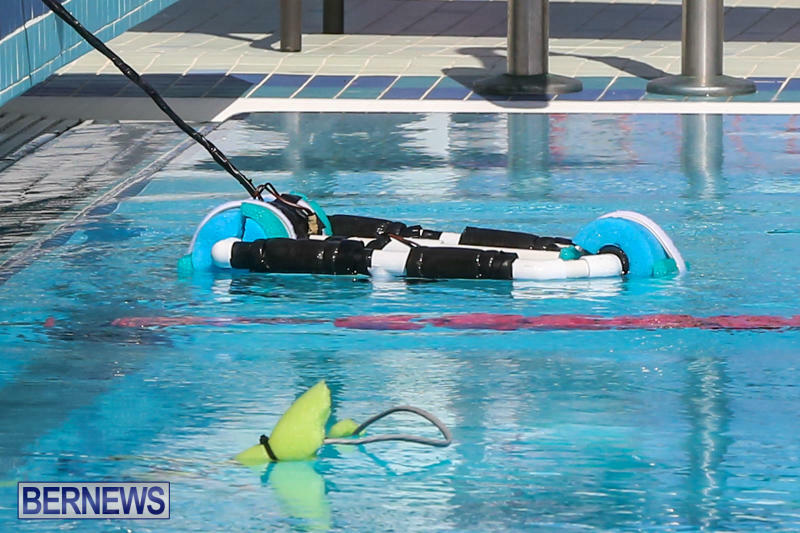 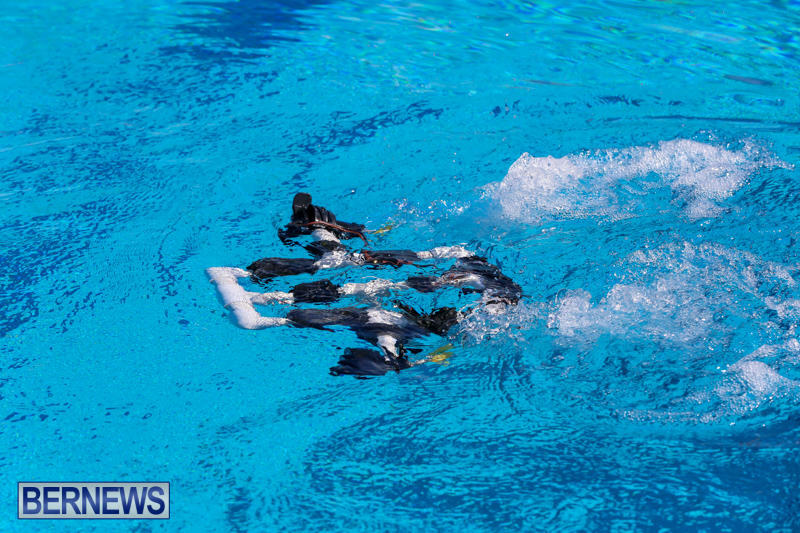 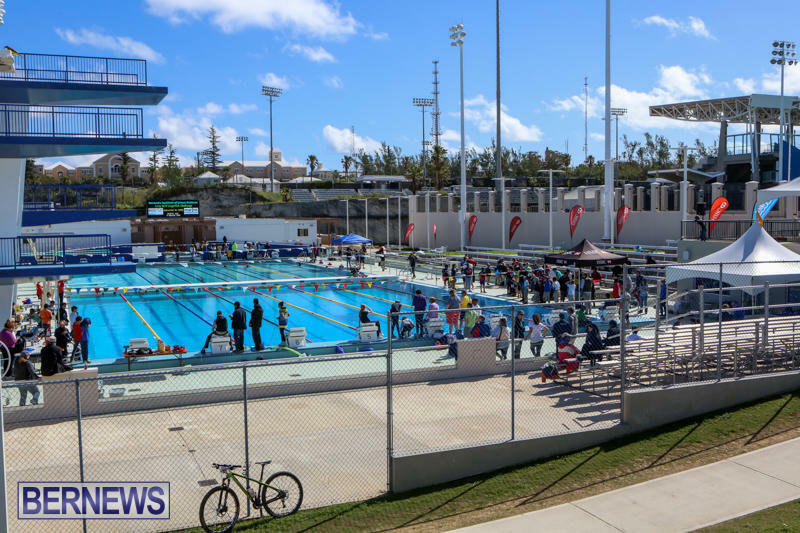 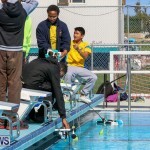 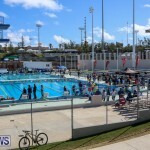 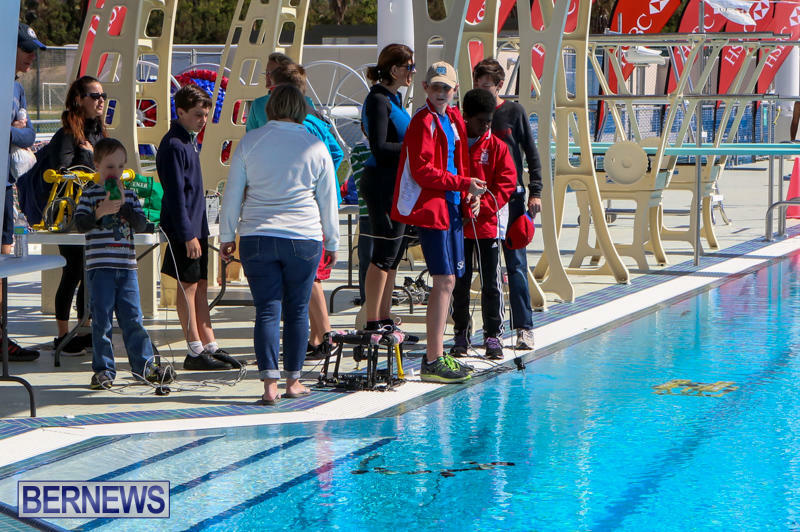 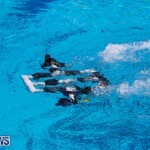 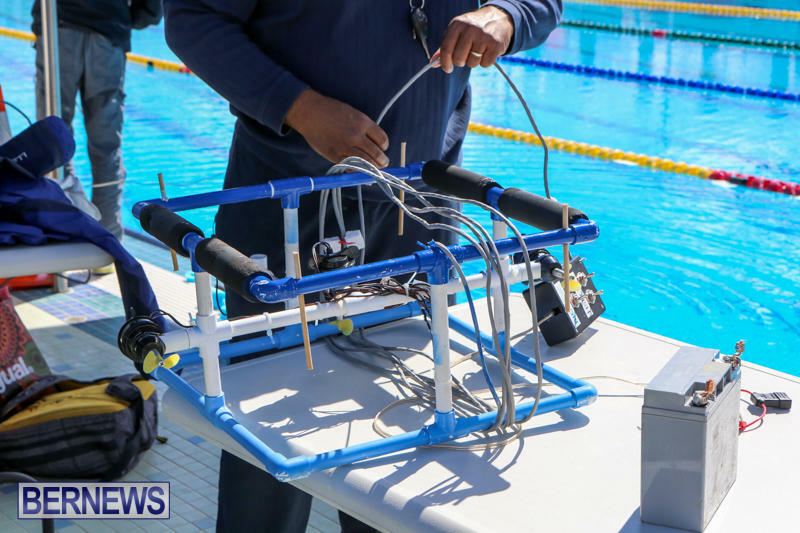 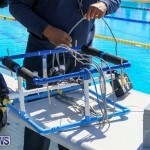 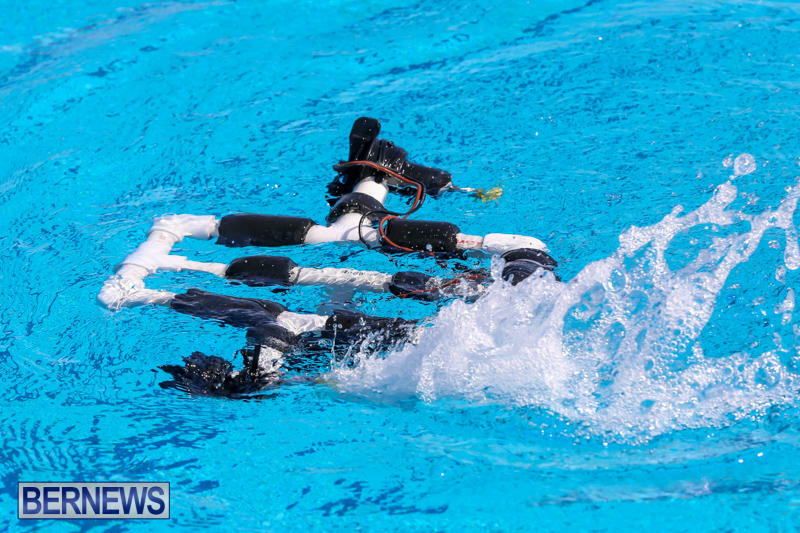 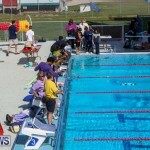 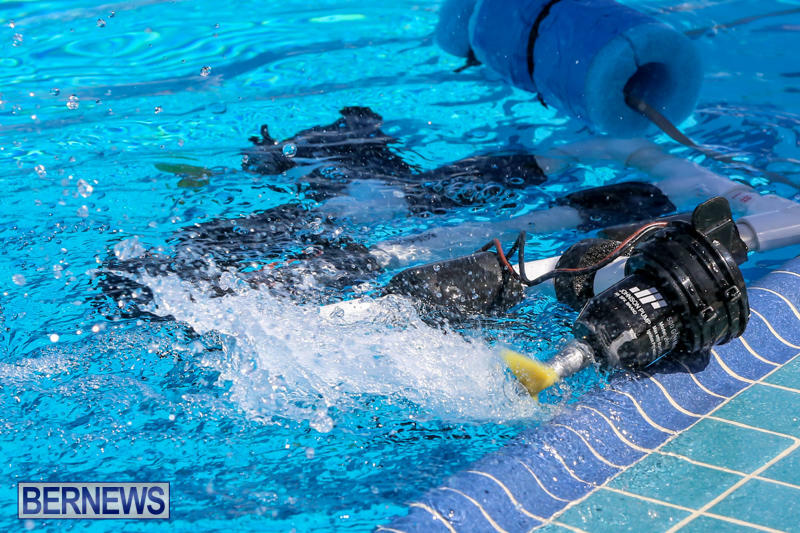 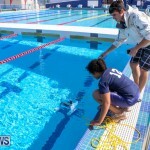 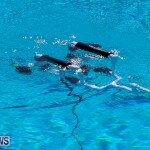 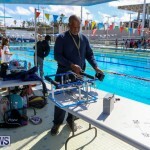 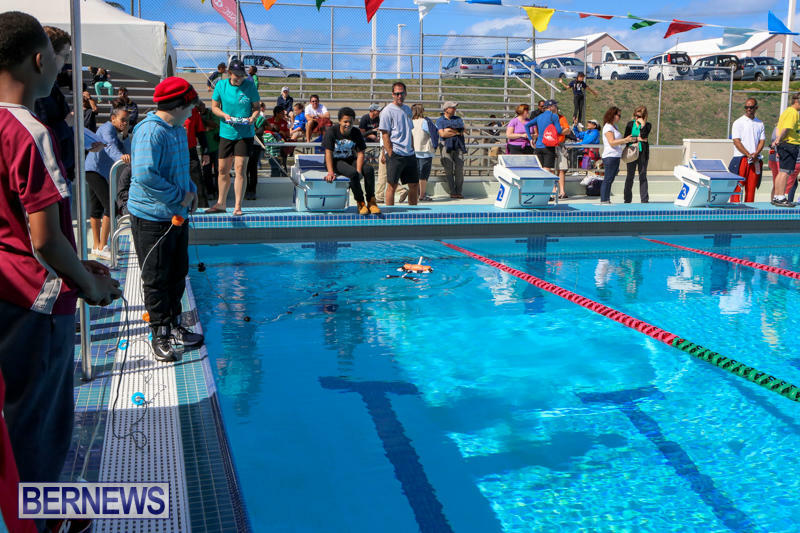 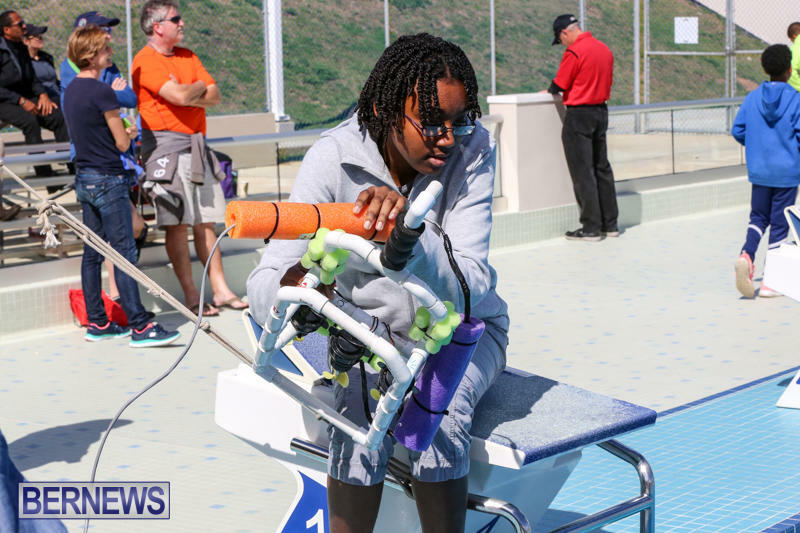 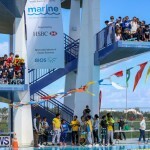 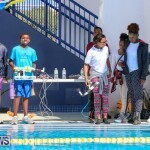 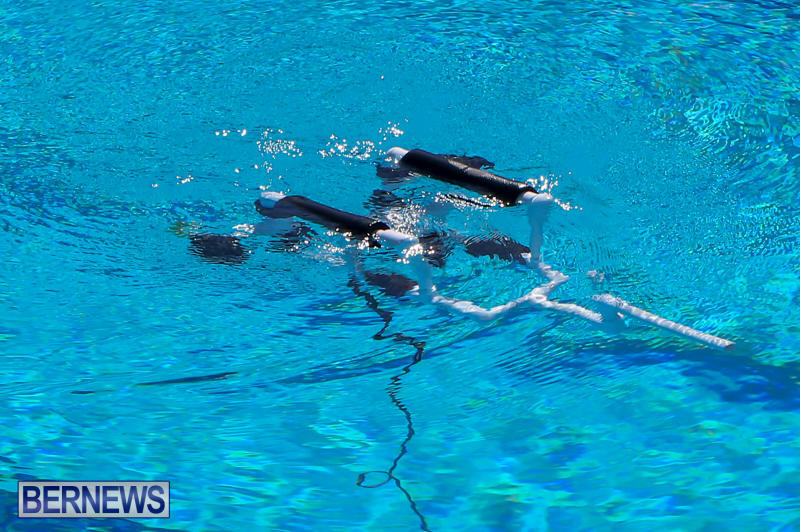 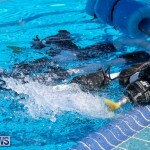 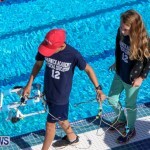 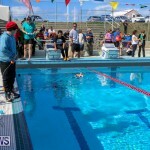 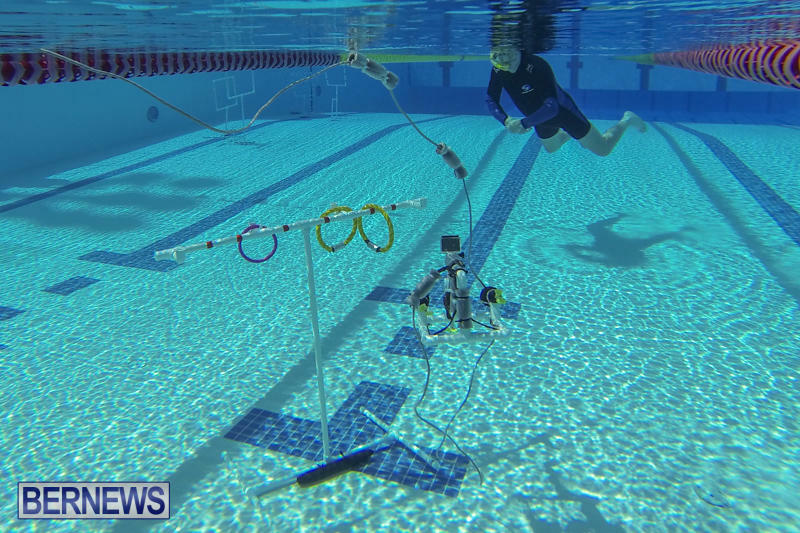 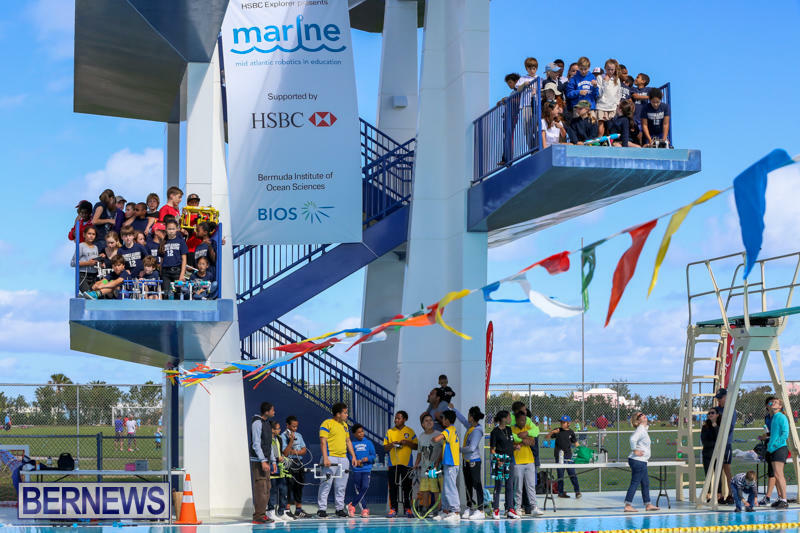 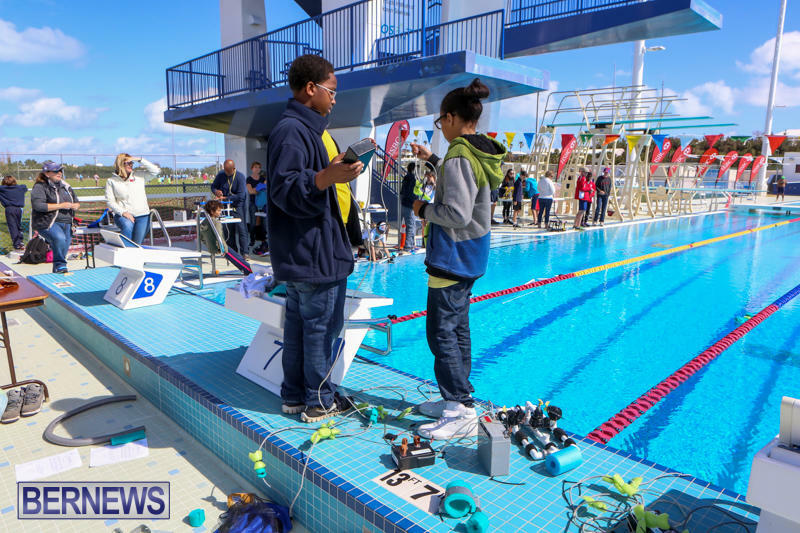 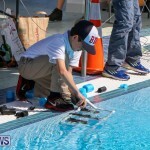 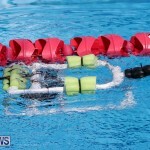 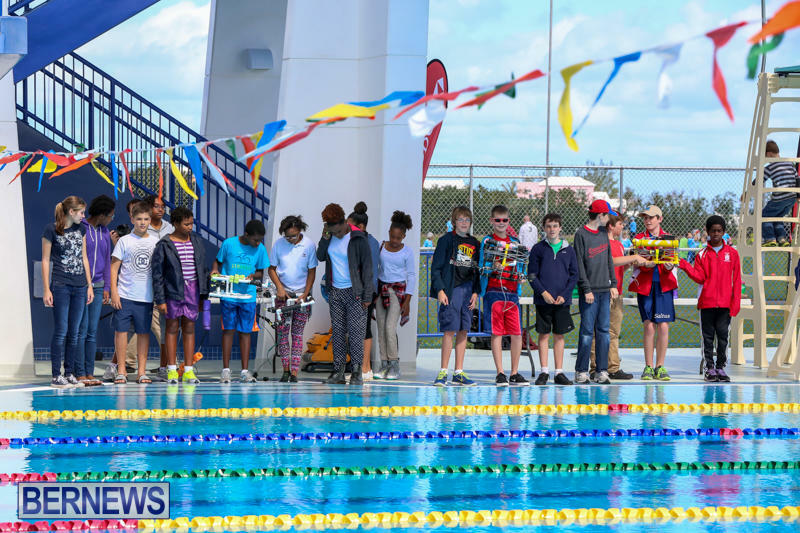 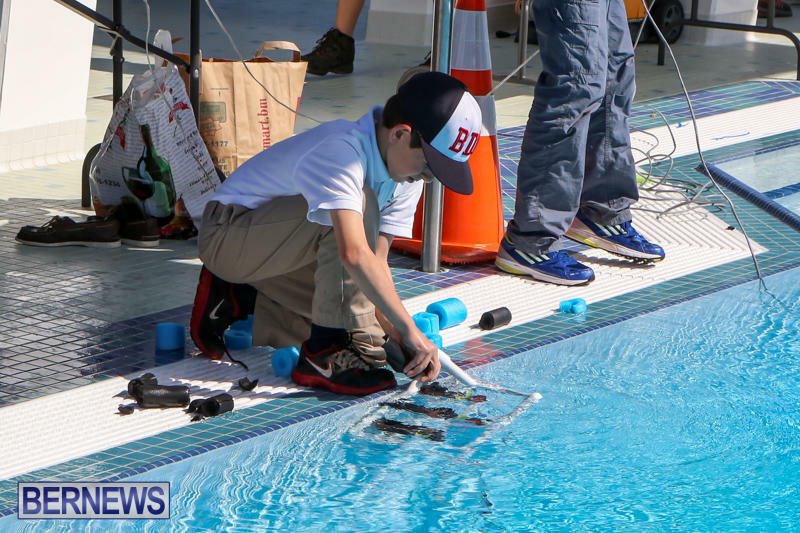 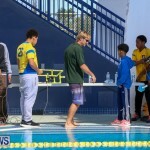 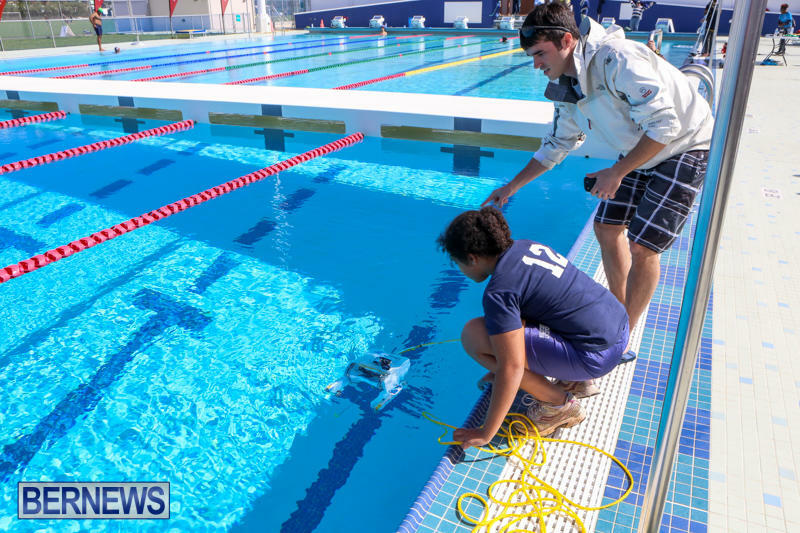 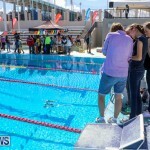 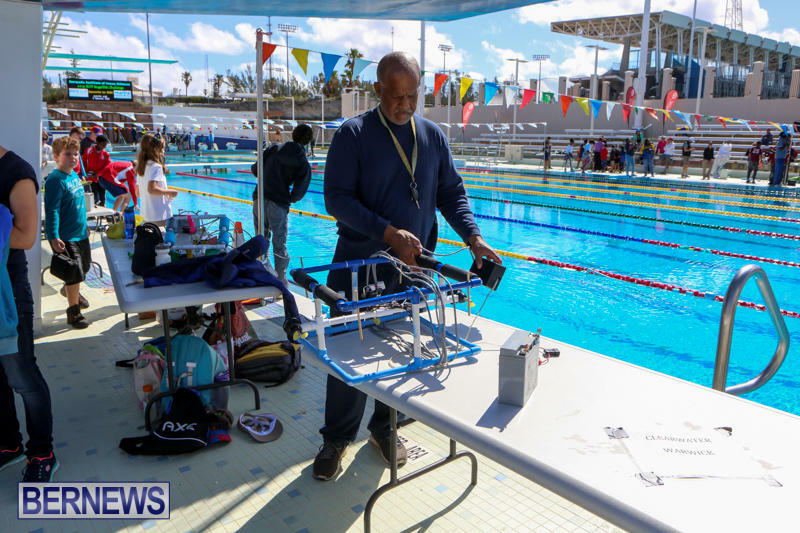 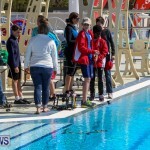 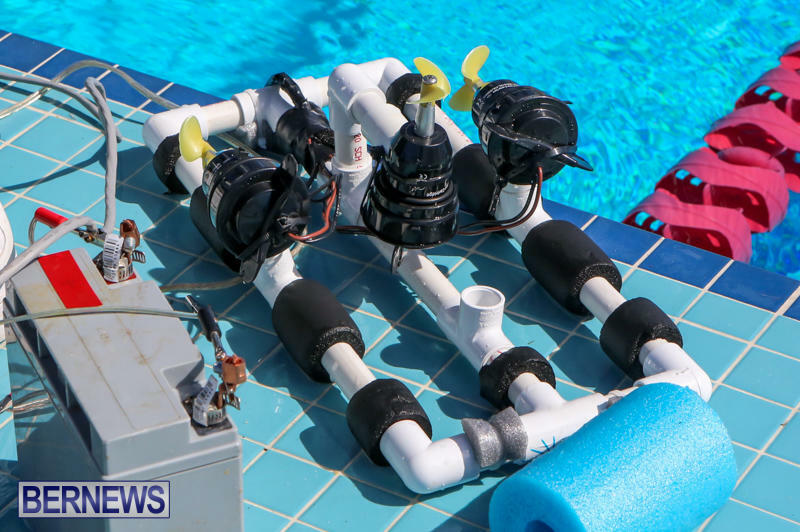 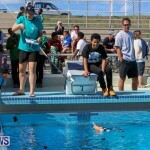 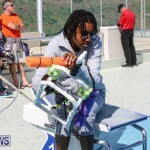 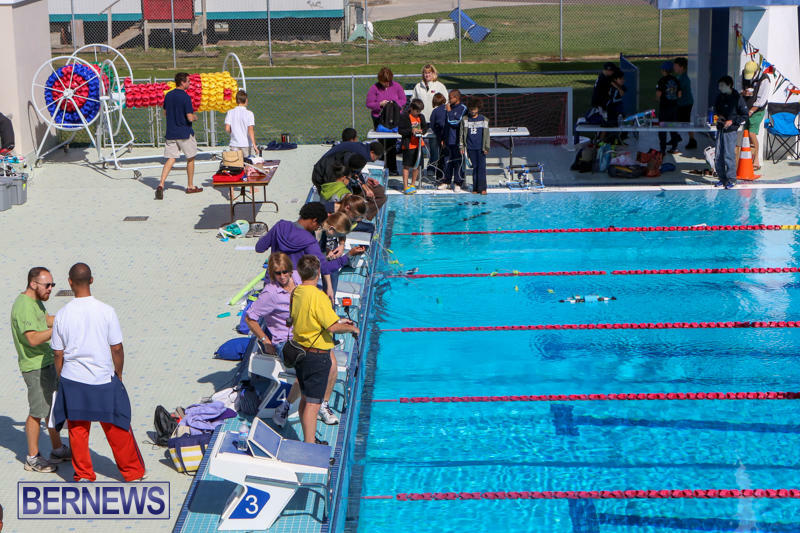 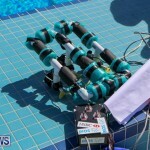 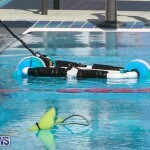 [Updated] Some of the island’s brightest young minds showcased their technical skills yesterday [Mar 8], taking their self-built underwater robots to compete in a series of manoeuvrability and speed challenges at the National Sports Centre pool in Devonshire. 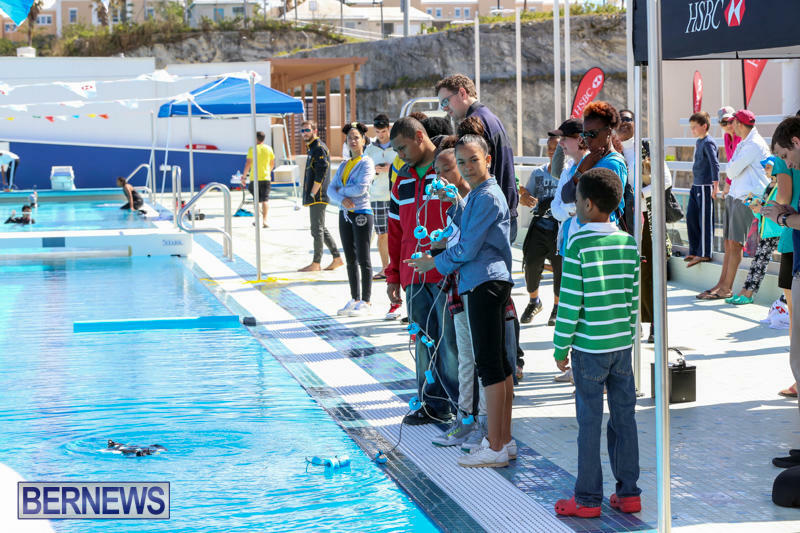 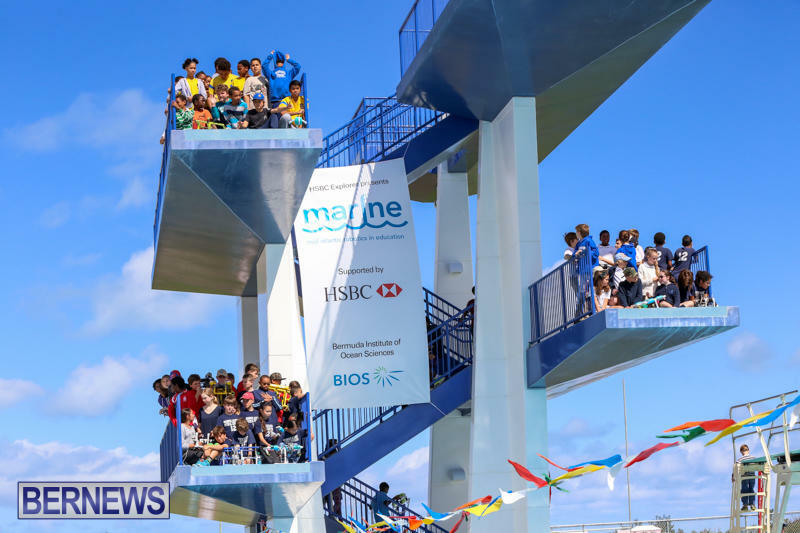 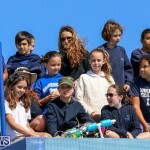 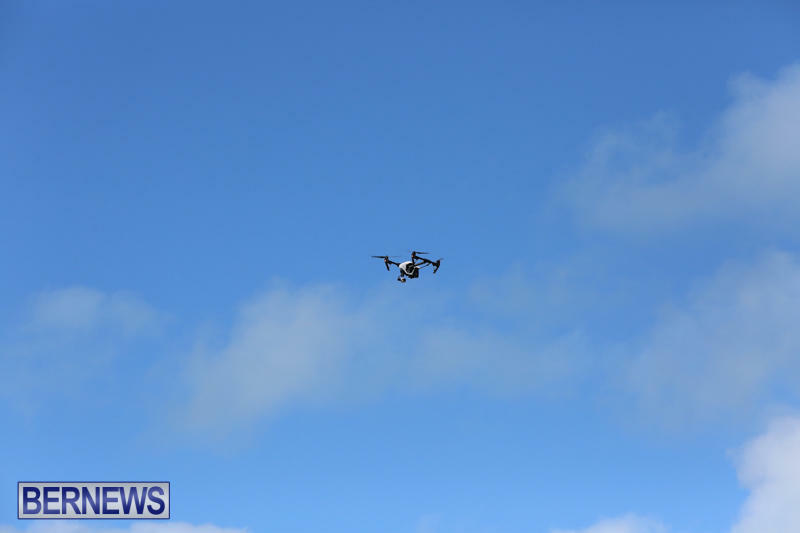 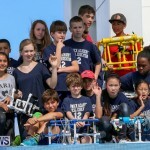 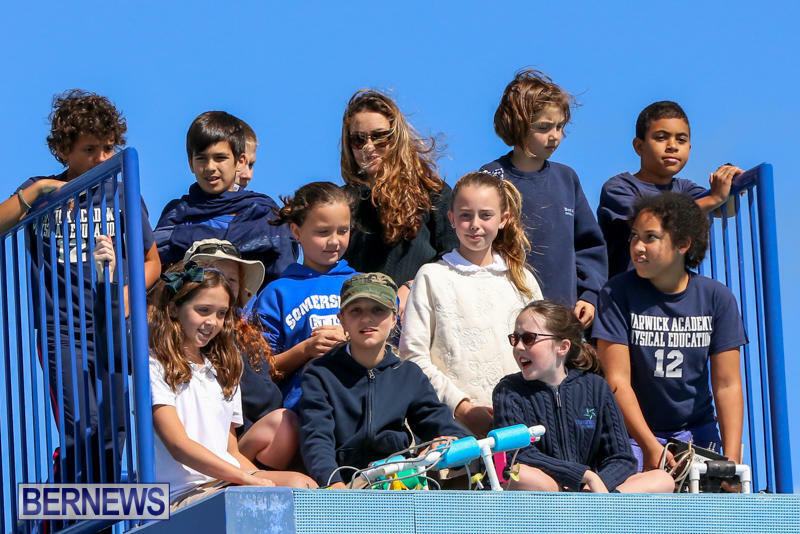 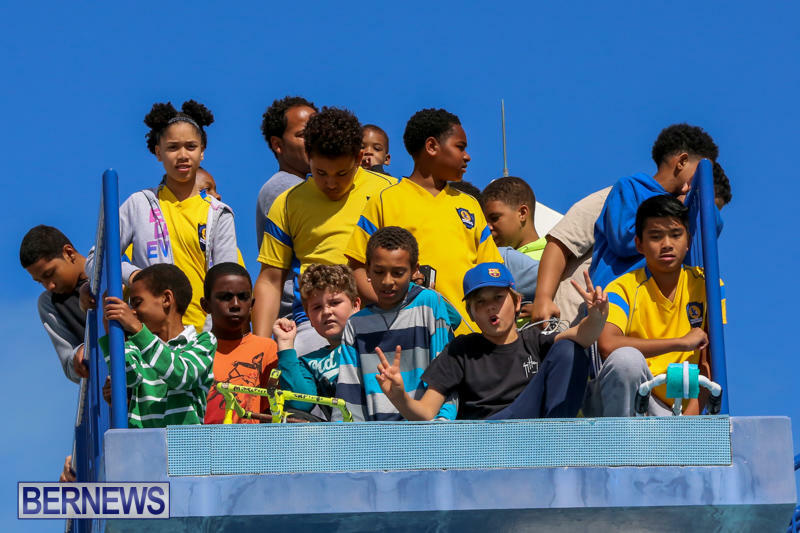 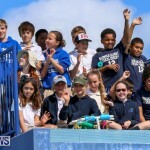 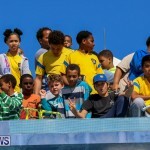 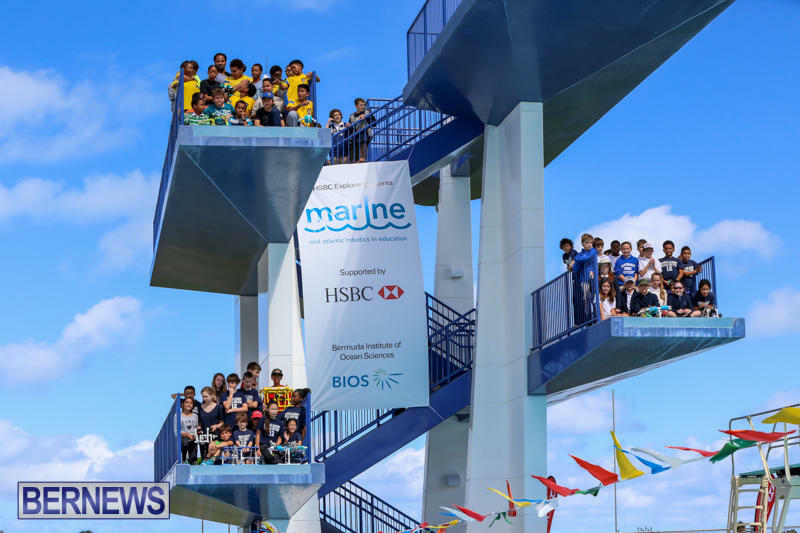 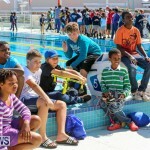 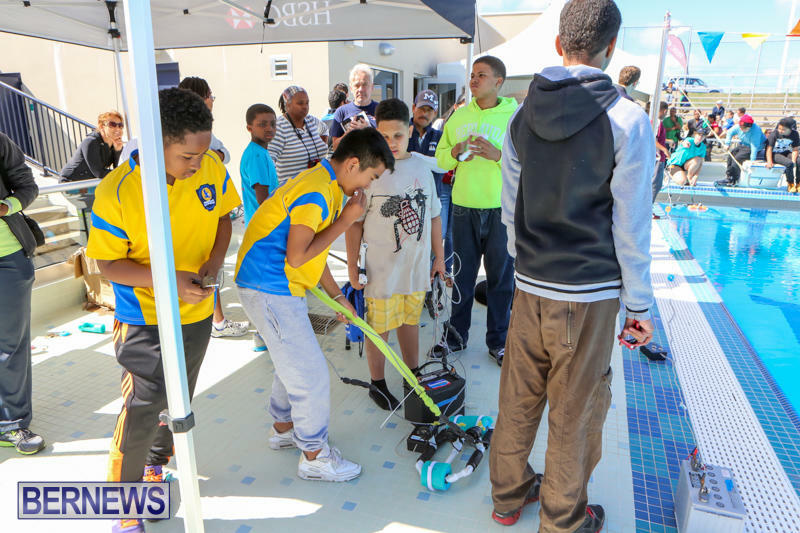 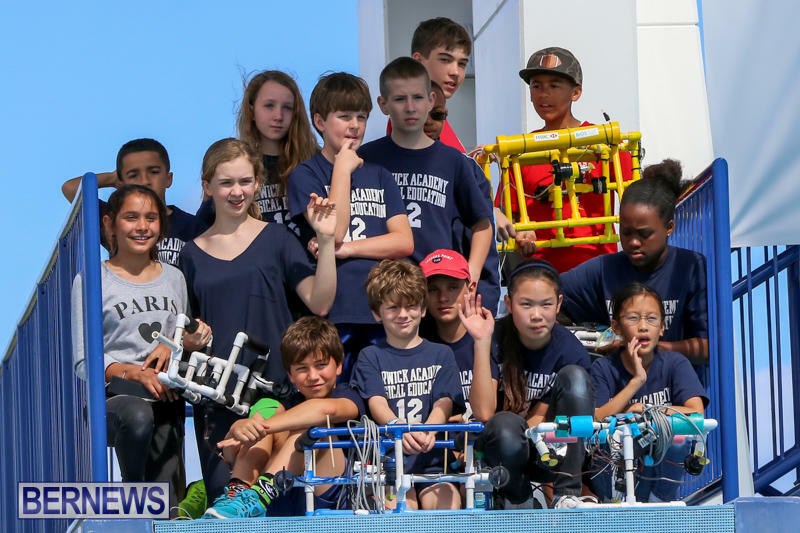 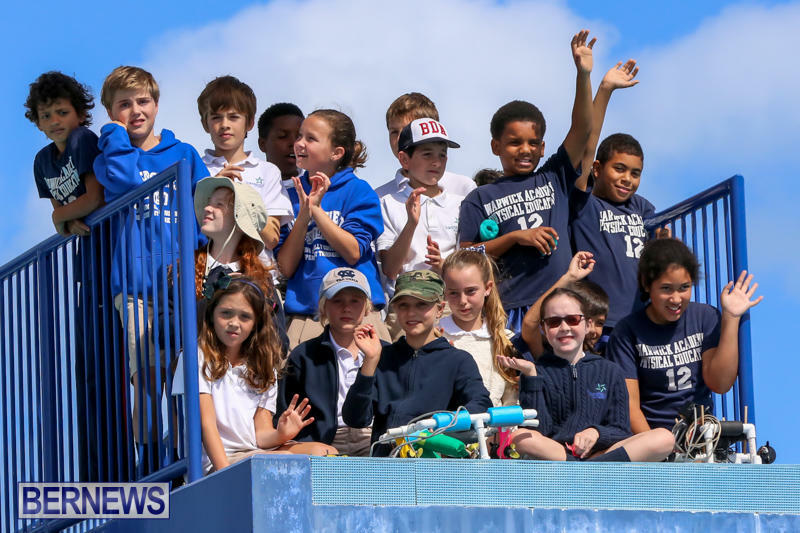 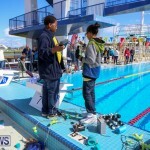 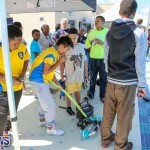 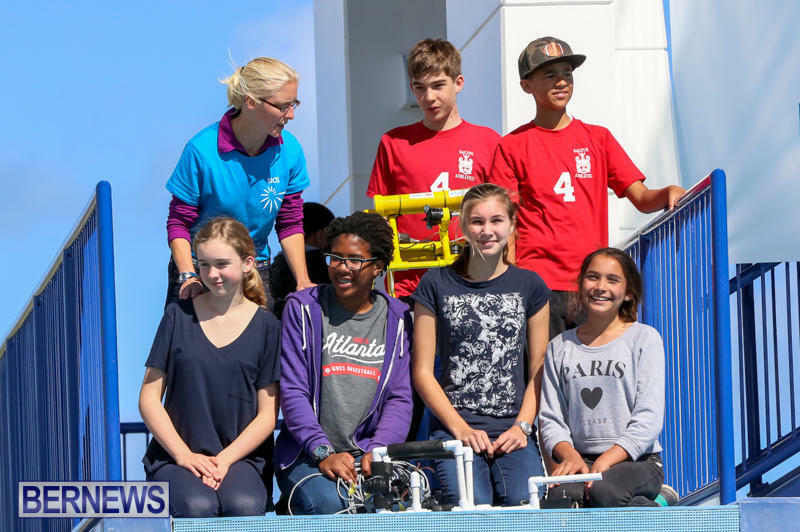 This was the culminating event of the Bermuda Institute of Ocean Sciences MARINE [Mid Atlantic Robotics In Education] Program, a new education initiative and the current topic of the HSBC Explorer Program. 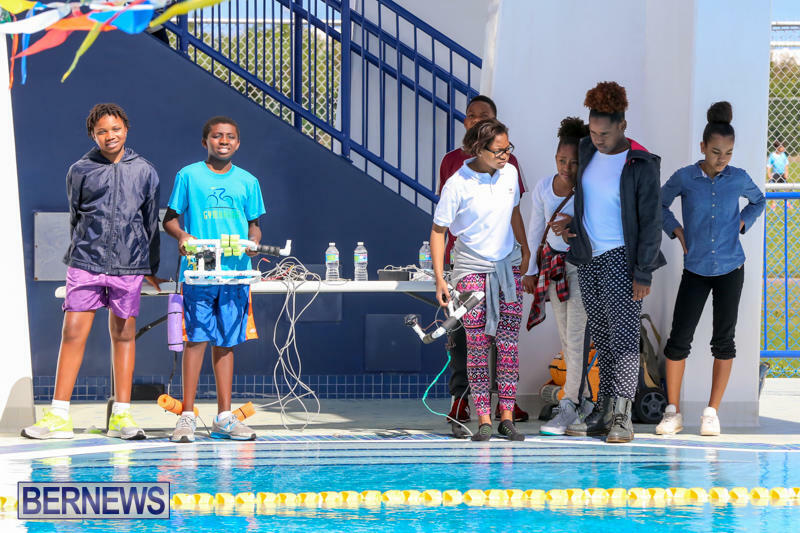 Originally scheduled for Saturday, the event was postponed to the following day due to inclement weather, and kicked off at 9.00am on Sunday morning, with students and their supporters heading to the pool, along with their high tech projects. 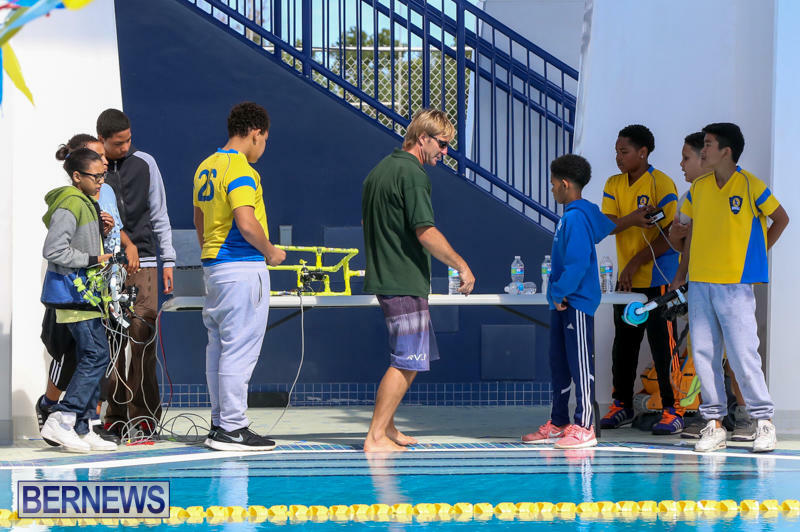 The rules [PDF] stated that Middle schools could submit teams of 5-8 students, with up to four teams entered per school. 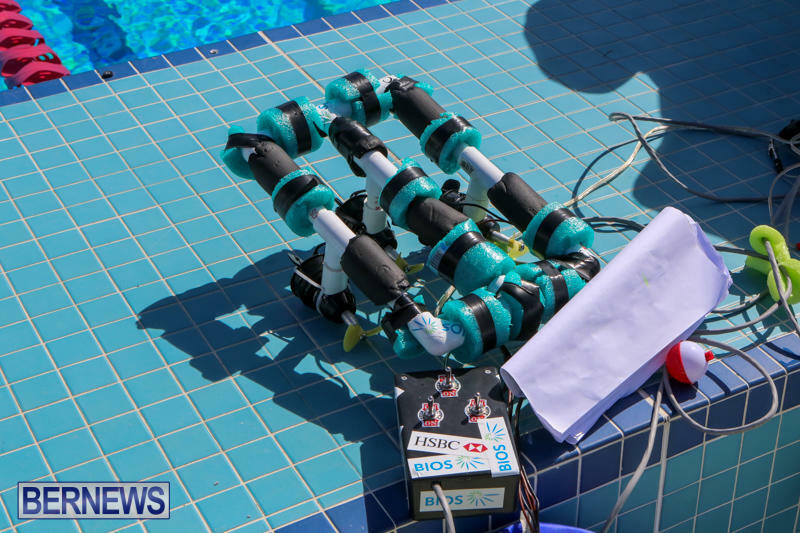 In describing the programme, BIOS said: “Researchers at BIOS are expanding their ability to explore the ocean with the recent acquisition of undersea gliders, which are autonomous underwater vehicles programmed to travel thousands of miles at a time in pursuit of oceanographic data. 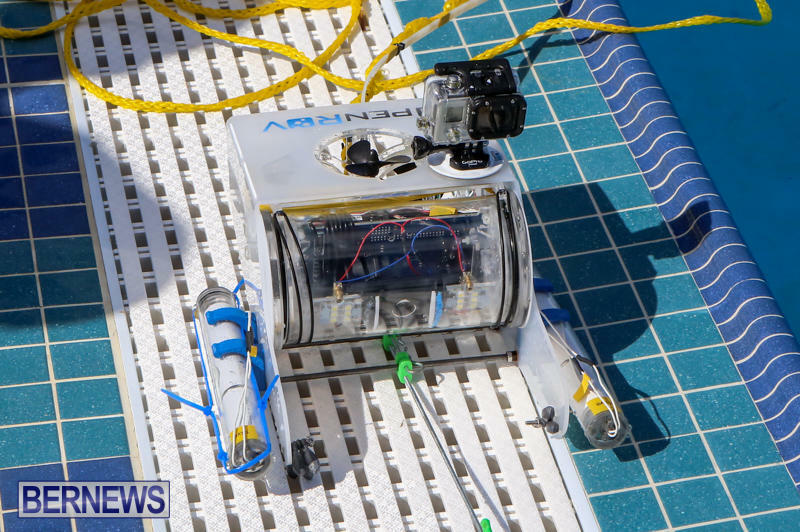 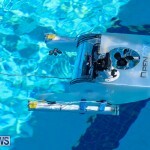 “The program will focus on remotely operated vehicles [known as ROVs], hundreds of which are currently employed underwater around the globe by marine industries, underwater archaeologists, and scientific research programs. 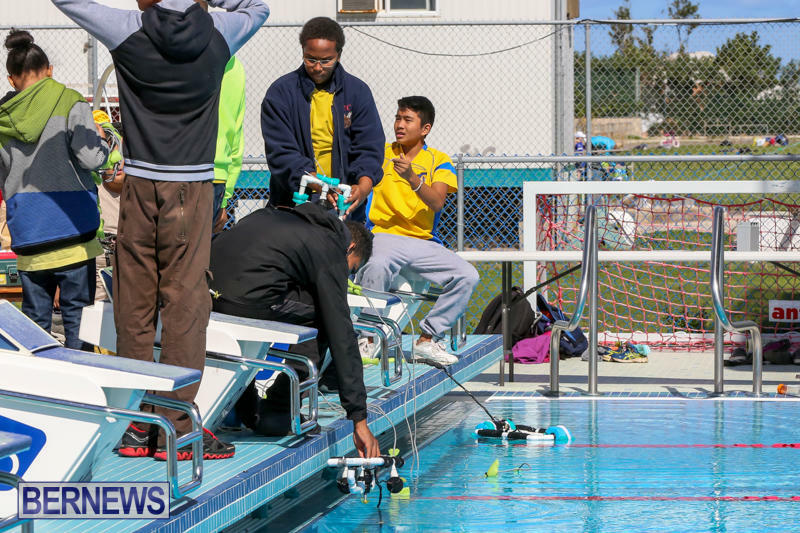 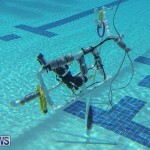 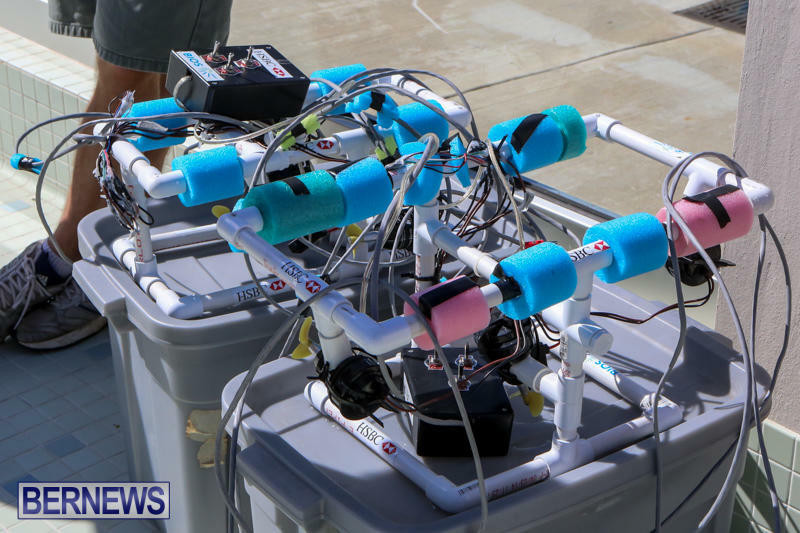 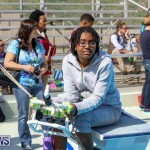 “As students learn to build and test ROVs in the classroom, the program will support and enhance science, technology, engineering and mathematics [STEM] education. 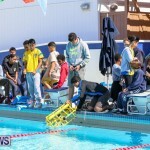 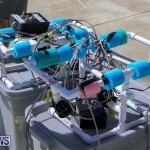 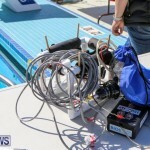 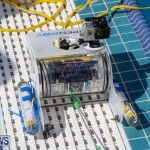 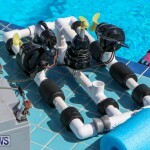 The experience of building ROVs will also foster critical thinking skills, individual and group problem solving skills, and technological fluency. 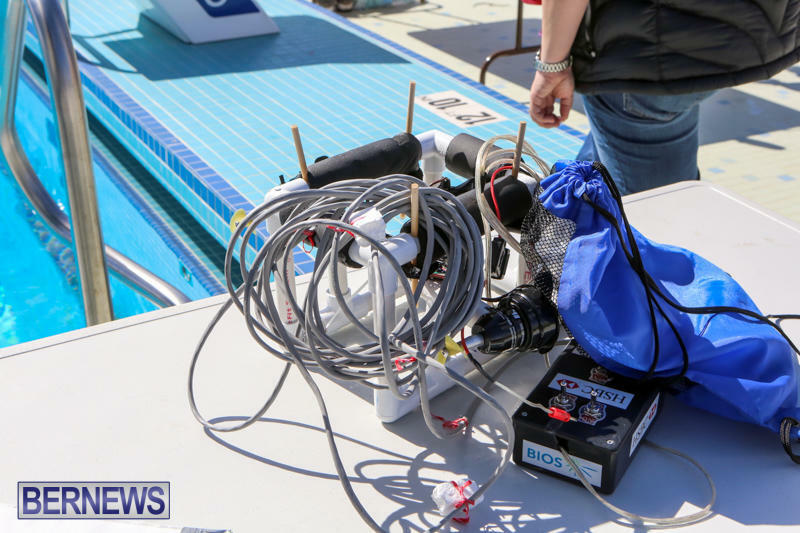 BIOS hosted a workshop to help teachers incorporate the MARINE ROV lesson plans and technology in their curricula, and provided “Angelfish ROV” kits so students had the same essential components to work with. 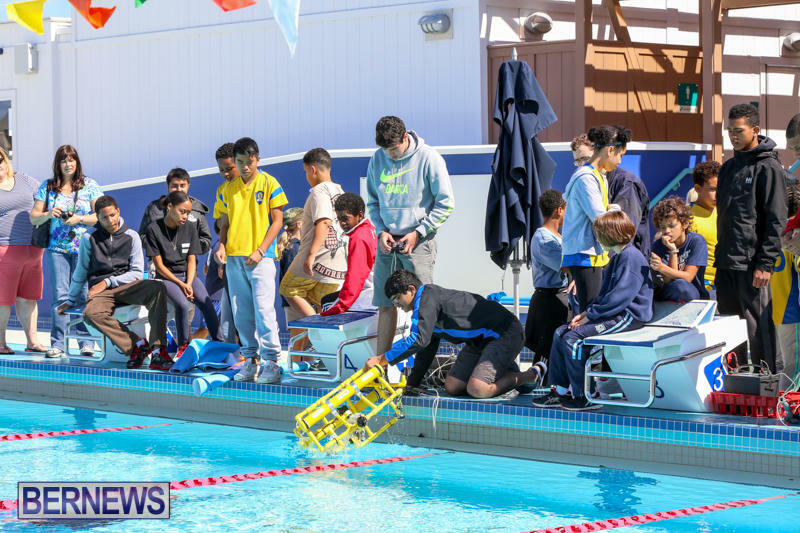 Students used teamwork and their knowledge of scientific concepts like buoyancy, density and circuits to build and operate their own ROV. 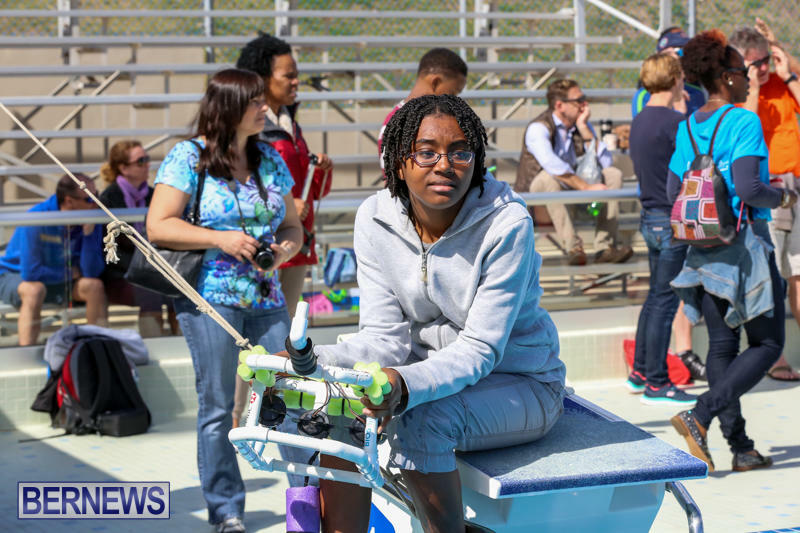 MARINE introduces students to the science and technology behind Remotely Operated Vehicles [ROVs], which are used by researchers and marine industries to survey underwater environments. 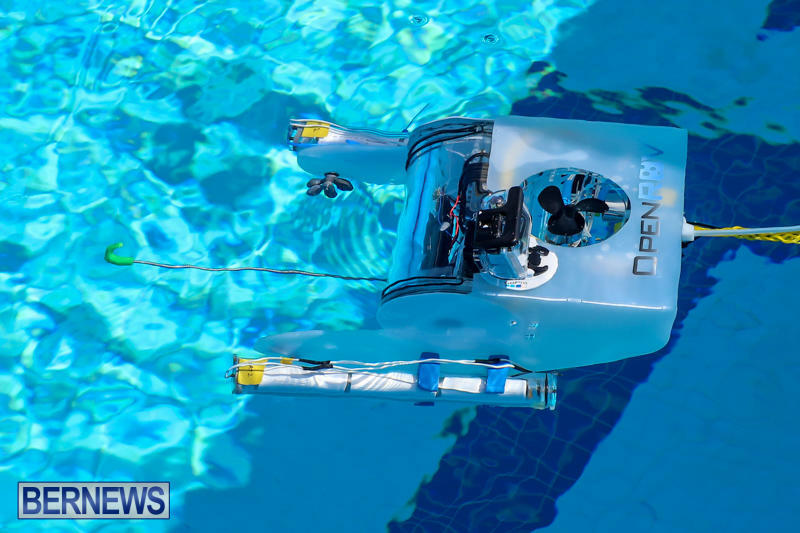 Is its name Chappy or Johnny 5?